Like the majority of you, I find myself wearing different types of clothing for various activities throughout the week. Even small wardrobe changes can create challenges for EDC. Optimally, what you want to find is a reliable, concealable carry gun that can stand up to a variety of clothing choices and carry modes. It just so happens that Springfield's newest XD-S Mod.2® 9mm is perfectly designed for all modes of every-day carry. This XD-S® is super lightweight, it's only 21.5 ounces with the 7-round flush fitting magazine. If you're going to carry all day long, this is truly an important feature. I also really like the combat sighting system, which includes a u-notched tactical rear sight and a very pronounced front night sight. While shooting this gun during the day, the large front circle sight quickly drew my eyes’ attention. Conversely, when firing this same XD-S Mod.2® in a low-light setting, the glowing tritium front sight allowed excellent visibility. Bottom line - this sight combination makes a perfect set-up for an every-day (and every-night) carry handgun, regardless of lighting conditions. The XD-S Mod.2® also has updated grip texturing that is suited for all carry configurations. It is aggressive enough for a good grip under all conditions, without being overly abrasive. Many carry guns have too rough of a grip texture, which may easily snag or catch on clothing, wear clothes out over time or sand down portions of your body if carried next to the skin. 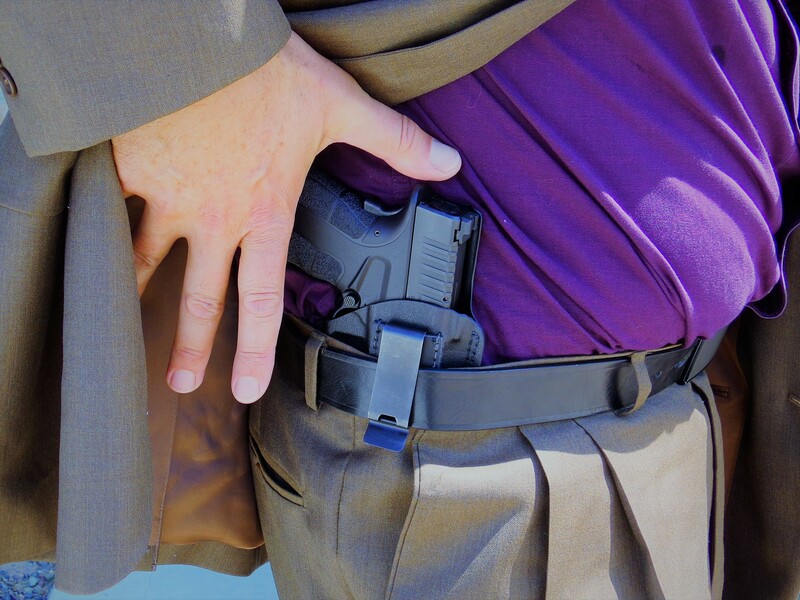 If your situation dictates that you routinely wear a suit or sport coat, the XD-S Mod.2® is subcompact and very flat, with little to no bulging or printing even underneath a well-tailored jacket. If concealment is the highest priority in this mode, the Springfield XD-S Mod.2® 9mm comes with a 7-round flush-fitted magazine. This magazine’s grip extension tailors down its size, but still allows a full 3-finger grip on the frame. And that's more important than you may realize. As with many of the uniformed Law Enforcement officers throughout the county, a back-up firearm is highly recommended. 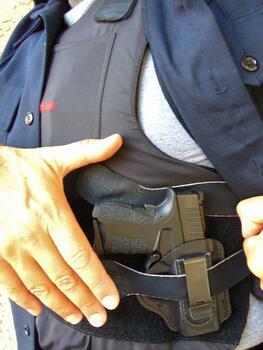 One of the more common methods is to carry under the uniformed shirt and mounted or strapped to your ballistic vest. Since the XD-S Mod.2® is small, flat, and has grip texturing that is not overly aggressive, it's a great backup gun in this position. Supplied magazines give capacity options of 7 plus 1 and 9 plus 1 rounds. Lightweight in carry - to the point where you even might forget it’s there - but with all the effectiveness of a solid 9mm defensive round, this gun will have your back if "it" every truly hits the fan. I carry every day. I'm always on the go and it's usually warm where I live, so the majority of the time I'm dressed more casually. 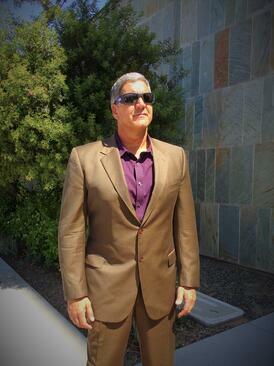 I typically use a very close-fitted outside the waist band, belt-slotted holster. 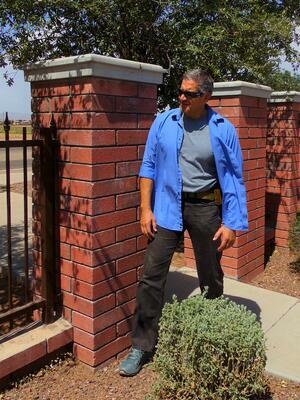 A tee-shirt or button-up covering the holster and firearm is most often my concealment garment. Here again, Springfield Armory®’s XD-S Mod.2® 9mm fits this configuration for me. Because of its size, light weight, and width (less than 1”), this firearm is very comfortable to carry all day and all night long. With the included optional X-Tension™ magazine, 10 rounds of 9mm is available without any magazine change. Now, that's a lot of bullets! There are other carry methods which many choose: appendix, small of the back, ankle, or some type of pack method. With all of these configurations, the XD-S Mod.2® is a great option - it's comfortable, easy to carry or pack, extremely shootable, and has an excellent sighting system. So put this pistol on your list of perfect EDC handguns. It will be a great accessory, regardless of your clothing/ carry configuration.